Managing contract risk is an integral part of the any contract lifecycle. From scope creep to subcontracting squeeze to default on payment by client, there is a wide range of reasons why business relationships can turn sour. While many business owners often feel that going through the court system is the only way to arrive to a resolution, the reality is that mediation stands as a time-saving, private, and less contentious alternative. Let’s review some reasons why your enterprise should take a second look at mediation to solve business disputes. Unlike litigation, mediation takes place behind closed doors. When your enterprise enters the courtroom, it may have to release sensitive information that it may wish had been kept private. Depending on the rules for public record at the state level, an enterprise may be able to conceal some information from the general public but that’s not always the case. On the other hand, mediation takes in an informal setting which both parties mutually agree to use. The privacy of mediation is particularly useful for companies with a long business history that wish to avoid having to air any “dirty laundry” and maintain the existing partnership. 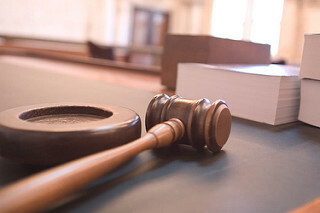 It may take up to several weeks before you can get a court date to review your case. However, it may take just a couple of days to arrange the start of a mediation process. Going through a mediation service allows your business and the other party more options in setting a schedule. Enterprises with prior experience in settling disputes through litigation may have discovered that they still feel dissatisfied with the entire process  even after receiving a monetary award or minimizing the payment of one. Since disputing parties must discuss the issue and evaluate options for the mutually acceptable agreement, those parties often bring to the table issues that wouldnt be discussed in a courtroom. From issuing a formal apology to accepting alternative forms of payment, alternative forms of resolution can boost the level of satisfaction for both parties with the final resolution. One common concern by business owners skeptical with mediation is that it may result in a non-binding agreement. It’s true that nobody can force either party to a resolution that they don’t agree with and that the settlement is only binding when both parties agree to it. However, parties always have the option to agree that the settlement be enforceable through court. From private mediators who charge $200 to $400 an hour to flat-fee mediators to mediators at non-profit mediation centers, there is a wide range of mediation services for every type of budget. Mediation can streamline processes to reach settlement because the subject experts are directly involved in crafting mutually agreeable solutions. On the other hand, litigation requires bringing outside subject experts who have to quickly familiarize themselves with complex projects and business relationships. Having costly experts reviewing your case creates an economic pressure to arrive to a solution quickly because of budget limitations. These are just some of the many benefits of a properly conducted mediation process. Still, mediation isnt suited for all businesses. A key to the success of any mediation is that both parties have to voluntarily agree to it. Statistics have shown that court-mandated mediations tend to have a lower resolution rates than those voluntarily entered by both parties. Another situation better solved in a courtroom is a clear breach of a contract involving large monetary damages. This is why two best practices in contract management are establishing a clear scope of contract and developing detailed best efforts clauses. When there’s not much room for non-monetary alternatives, litigation is the only route. The privacy aspect and potential for time and cost savings are attractive features that make mediation a viable alternative to litigation for many enterprises. Before starting your next litigation process, consider asking the other party about mediation. Having an open mind about how to resolve a dispute may the be first step in getting to a quicker settlement.